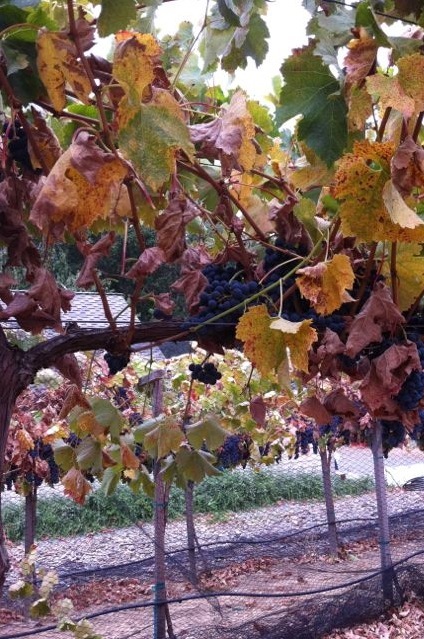 We produce only 100 cases of Zinfandel wine, 100 cases of Merlot wine and 40 cases of Chardonnay per year. We provide some of this wine to local charity groups. The remainder we sell primarily to local restaurants and to our local community of friends through our Woodside Farm Vineyard Wine Club. Joining this Community Support Wine Club group adds you to our Member List. You will then receive notice of our various events throughout the year. Joining is simple. There is no fee. Your only requirement is to buy 12 bottles of our wine per year at our wine club rate, which is 20% percent below normal retail price. Additional wine purchased will also carry the Wine Club discount. Wine Club membership is for a minimum of one year and automatically renews unless asked by you to terminate. We would also hope that you come and enjoy the winery at our events, but that is not required. Our Wine Club is limited to only 100 families. Just send us an email at member@woodsidefarmvineyard.com with your name, address and telephone number and we will sign you up. You will get a confirmation from us.